Today let’s touch on the information war in a different way, namely, as it pertains to the battle to explain the existence of complex scientific information found in our DNA. Eric Metaxas has done some terrific work trying to get the word out that the popularity of “Intelligent Design” is growing in the scientific community due to the abundance of evidence that creation isn’t an accident, but rather the product of a creator. 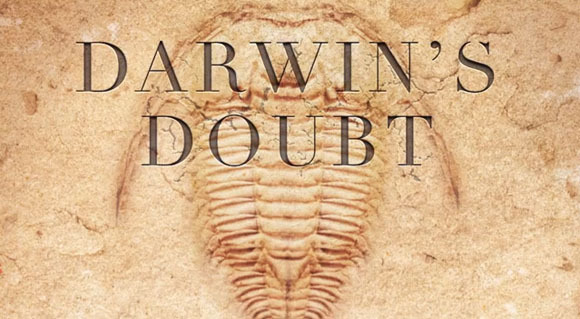 You know Darwinism has problems, but how do you explain them to your friends and family? Well, look no further than a bicycle lock. What’s the greatest discovery in the history of biology? If you said “seedless watermelons,” you’re close. Actually, it’s probably the discovery of DNA. It’s hard to imagine in this age of genetic engineering, but scientists in Darwin’s time saw life as quite simple. Cells were thought to be blobs of primitive chemicals called “protoplasm.” But as technology advanced and scientists were able to peer inside the cell, they discovered something amazing: Every living thing actually contains intricate, microscopic machines, performing functions without which life would not be possible. The real breakthrough, came in 1953 when Watson and Crick uncovered the structure and function of DNA—the molecule that programs and regulates cells. It revolutionized our understanding of life. And it stretched Darwin’s theory to the breaking point. DNA is essentially a form of incredibly efficient digital code, uniquely suited for storing the blueprints of living things. And for something microscopic, it’s huge. The human genome contains over a gigabyte of data! Of course, like digital code on a hard drive, DNA can be corrupted. The most recent iteration of Darwin’s theory claims that these corruptions—called mutations—are the engines of evolution. But here’s the problem: We don’t have a single example of a mutation resulting in a net gain of information. Not one.